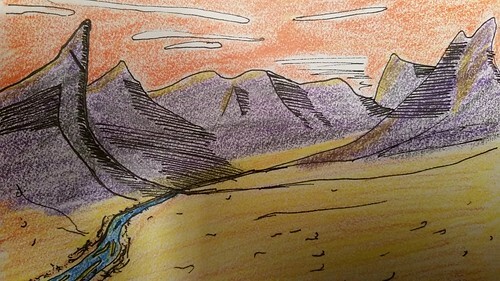 I risk embarrassing myself quite a bit with my new interest in drawing mountains and climbing scenes, but I figure if I don’t share them I might not keep practicing and working on improvement. 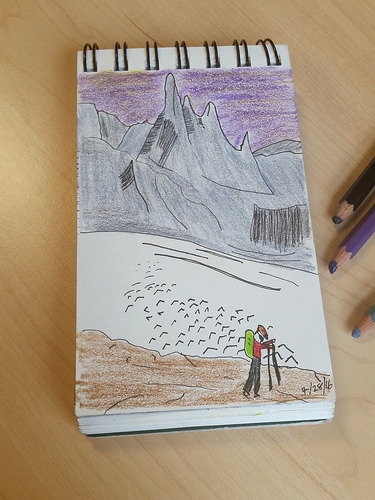 So here’s the announcement: you can follow me on Instagram and see more of my drawings of the mountains. 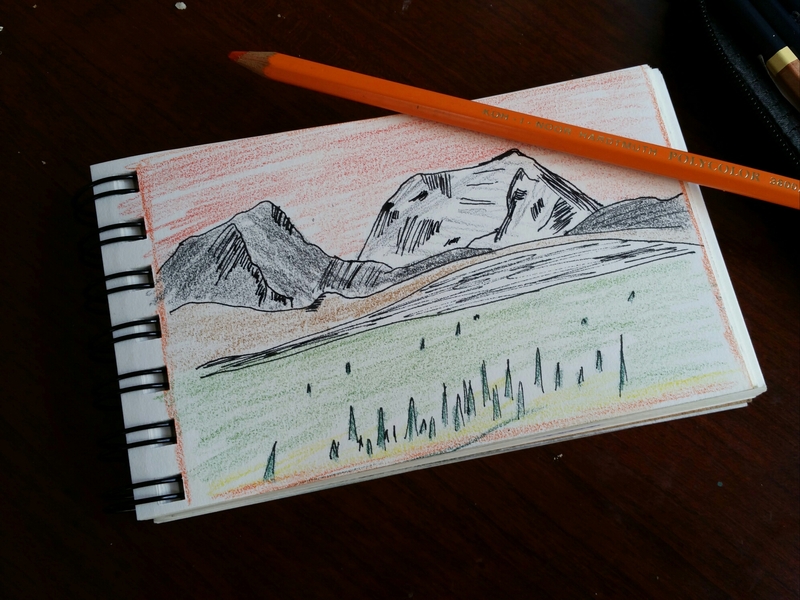 I draw for similar reasons for keeping this blog: Trying to hold on to the feeling of being at peace of some degree of bliss from being among the mountains is generally elusive. But I have found that mountain art has helped make the mountains come to me, even in the Washington, DC metro area. 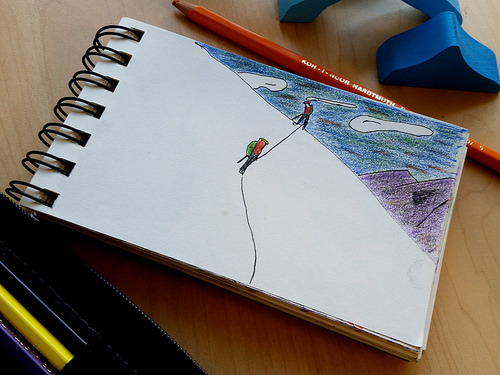 And writing on this blog has always conjured up the mountains and most of those feelings. 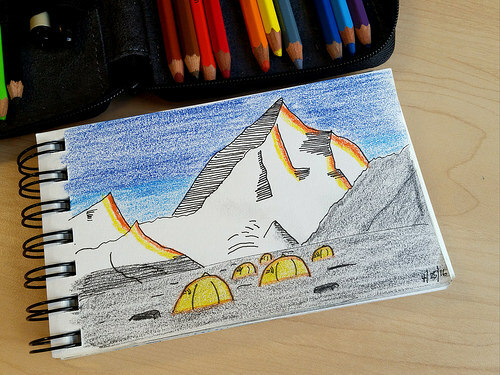 Until recently, I have just been taking in other people’s art, like Renan Ozturk‘s paintings. But with some nudges, including from my wife and friends, I finally gave in and started to try drawing again. Generally, I try to use as few lines as possible and use colors that capture a feeling of the landscape more than accuracy. What do you think of that approach? So come follow me on Instagram and please comment, let me know what needs improvement. Let me know when the low-lying fog looks more like lava. Let me know if you like the combination of colors. I draw whatever interests me at the time, but I want to connect with you too, so please don’t be shy.